As more buildings go up, how many of Seattle’s trees will come down? After years of Seattle tree activists urging stronger protections for the Emerald City’s leafy green umbrella, a long-awaited new study provides the most detailed look to date at the amount of tree canopy covering the city. But the city-sponsored study does not provide insight into how the last decade of development has affected that canopy nor what the next decade of building might bring. With a long-stalled ordinance to better protect Seattle trees languishing, the city next week is closing the books for the public to comment on a far-reaching growth plan that a separate city study predicts will contribute at least slightly to tree loss in the years to come. Cities need their trees. Trees clean air and water, reduce pollution in rainwater runoff, cut heating and cooling costs and even improve the physical and mental health of people that live near them, according to a growing body of science. In short, a canopy of healthy, mature trees spread across a city translates directly into a more enjoyable place to live. City officials know this. Seattle has been protecting trees on public land at least since the Olmstead brothers designed parks here starting early last century, and in recent years has launched multiple programs to plant and care for trees. But nearly three-quarters of Seattle’s trees are on private properly, according to the study by University of Vermont researchers for the city. And private property is where city tree protections come up short. Little stands in the way of a developer who wants to knock down a mature tree on private land. “Developers are removing ecological services in cities,” says Steve Zemke, the vice-chair of the city’s Urban Forestry Commission. Local activists have long pushed for stronger city protection for trees on private property. About a decade ago, the city started taking steps, including adopting a tree-protection ordinance. But it’s so weak that activists have worried increasingly as development skyrocketed after the Great Recession. Seattle does protect “exceptional trees,” but the vast majority of trees do not meet that definition, and even then there is little oversight. 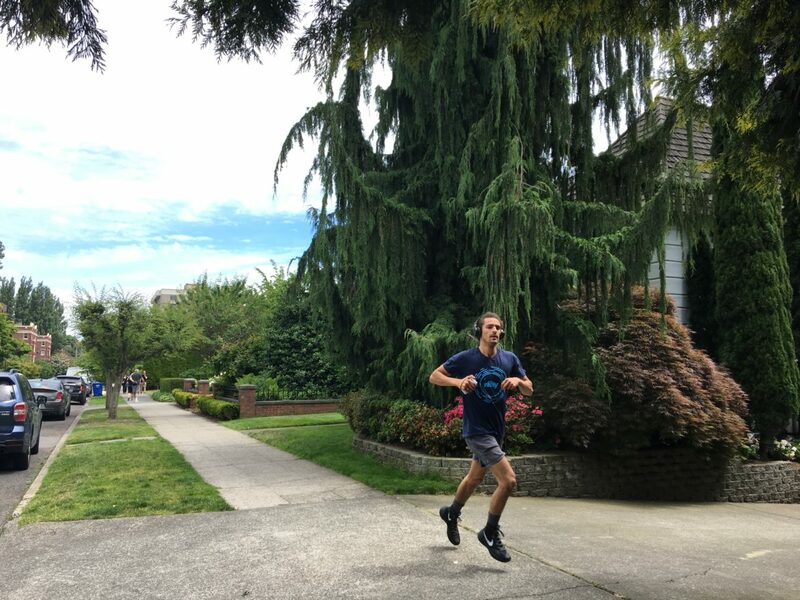 “A proper tree ordinance would have much tighter protections,” said Michael Oxman, a local arborist and board member of the Seattle Green Spaces Coalition. The new study breaks down the types and locations of trees across Seattle. But after more than a decade of programs to restore and protect the city’s trees, Seattle still can’t say if the canopy is growing or shrinking. The official numbers show Seattle is 28 percent covered in tree canopy. Previous estimates have bounced from 18 to 33 percent, all with large margins of error. The current estimate that 28 percent of the city is shaded is not far from Seattle’s target of 30 percent canopy by 2037. The city in 2007 formally committed itself to that objective, along with an “aspirational goal” of 40 percent canopy over time. Now lots more development is headed Seattle’s way. Closing the two-percent gap to 30, let alone hitting 40 percent, could prove quite a challenge. How do you protect trees you don’t own? City officials are quick to point Seattle’s efforts to plant trees on public land. But parks contribute only 20 percent of Seattle’s tree canopy. So where are Seattle’s trees? Residential property – mostly single-family residential lots — accounts for 72 percent the overall canopy. These are the trees directly in the crosshairs of development. How much development may depend on Mayor Ed Murray’s Housing Affordability and Livability Agenda, also known as HALA. To solve Seattle’s housing affordability crisis, the development plan is intended to increase density and create more affordable housing. One piece of it, the Mandatory Housing Affordability Plan, would change zoning laws for single-family homes near the city’s urban village centers, areas like Roosevelt, Eastlake and Rainier Beach. Single-family lots would be “up-zoned” to multi-family. New large developments are required to include affordable housing units. At least that’s the goal. HALA — particularly the Mandatory Housing Affordability plan — has garnered many critics, some of whom argue that it will not succeed in creating affordable housing. HALA has been in the works since 2014, and is closing a 1 1/2-year public comment period on June 30th. The proposal doesn’t mention trees, but zoning rules have a big effect on whether yard space, and therefore tree space, remains after redevelopment. Oxman says that statistic doesn’t tell the whole story because it fails to examine the health of trees and to gauge the impact of development on them. Even if trees aren’t lost, larger buildings limit access to sunlight and space for roots, decreasing the financial and environmental value of trees that remain after construction. So the impact is greater than what is being measured, Oxman maintains. “The whole idea of development is significant,” he says. The environmental impact statement, as it’s called, is just a draft. The city is taking online comments on the report until July 24th. Quite outside any impact from HALA, effects of development on trees may increase, thanks to changes in the city’s Comprehensive Plan last year. Oxman, of the Green Spaces Coalition, and other activists say those changes open the door for developers to bulldoze yet more trees. The Comprehensive Plan lays out city-wide planning goals. Updated every ten years, last year’s update, in 2016, eliminated environmental goals from the land-use section of the plan. City planners said it was repetitive of goals in the environment and parks sections of the plan. No way, says Chris Leman, a neighborhood activist who serves on the Eastlake Community Council. He argues that so-called “redundancy” in the land-use portion of the plan was important because land use is where trees, wildlife and public health are most affected by the plan. Leman in May formally proposed that the City Council amend the Comprehensive Plan to strengthen protections for trees and make sure that the land-use section of the plan notes trees as a priority. His amendment would require yard space for low-rise multi-family developments and spell out the importance of trees in the land-use section. Trees need a lot of space for their roots; a tree’s root system is usually two to three times as wide as its canopy. Which means to reach their full potential most trees need a yard, not a square cut out of a sidewalk. And big trees, the kind that have been on properties for decades, often have root systems spanning more than 100 feet. Those big trees also provide a lot more environmental benefits than small ones do, so every time a large tree is replaced with a sapling, benefits are lost. Low-rise multi-family zones, for properties like rowhouses and townhouses, don’t require much yard space — only five to seven feet, depending on the type of structure. Those rules have been in place for decades, with some minor tweaks in 2010. Before the post-recession surge of development, many residential lots had not built out to those edges. Now, new developments routinely build as far as permitted, shrinking yards across the city without zoning changes and leading activists like Leman to demand more protections for trees. If the city accepts Leman’s proposed amendment, it will go through a public hearing process and would likely be voted on by the City Council in March. A web of eight city agencies and offices work on tree-related projects, the majority of which revolve around trees owned by the city, such as street and park trees. The city has little control over what happens to trees on private property, because the one law that specifically addresses privately owned trees, the Seattle tree ordinance, does little to actually protect trees. The tree ordinance dictates how many trees the owner of a lot can cut down under most circumstances (up to three per year for most properties), and that system is largely self-policed. What aren’t policed at all are lots under 5,000 square feet, which are exempt from the ordinance. An estimated 35 percent of Seattle’s single-family lots are under 5,000 square feet. And the majority of the city is single-family lots. The city Urban Forestry Commission, an advisory group of non-government experts, was created in 2009, in part to help advise a redrafting of that ordinance, but the project stalled in 2011. Now it’s back on the table. Last year, the Department of Construction and Inspections, which oversees development rules, began a project to evaluate how well current tree protections are working. “We wanted to see how it’s been playing out before we react. So that was the first goal, and I think the second goal was to see how we can improve our tree policies,” explained department spokesman Bryan Stevens. Those improvements could take the shape of a new tree ordinance. But that, Stevens says, is just one of several options, and will depend on what the research says. Pinto de Bader, the urban forestry expert for the Office of Sustainability and Environment, is confident in the city’s ability to improve tree protections. She said her office “has been participating and supporting this effort to really assess what’s working and what’s not working, so we don’t throw out the baby with the bathwater,” she says. Findings will be made public in the next few months. Then the Department of Construction and Inspections will decide what, if anything, to do. The Urban Forestry Commission, which is advisory, will weigh in. Zemke wants the city to do more to examine the effect development has on trees and how that’s changed over time. Plans for a property’s trees are required for development proposals. But there are two things missing: a database and tree removal information for lots under 5,000 square feet, which are exempt from the city’s tree ordinance. “Other cities do this stuff that we just for some reason are not taking seriously,” says Zemke, rattling off a list including Lake Forest Park, Portland and Atlanta. “We are considering how to track tree removal on [private] property,” said Wendy Shark, spokesperson for the Seattle Department of Construction and Inspections in an email to InvestigateWest. New study helps – is a more detailed look needed? The new canopy assessment provides a detailed breakdown of the city’s canopy, and the first clear look at the canopy on the neighborhood level. It also quantifies how many are coniferous – evergreens that keep their leaves in the rain-soaked winter, helping intercept rainfall – and how many are deciduous trees that lose their leaves in the winter. Conifers make up less than a third of the city’s trees. And some say conifers and development don’t mix well — compared to deciduous trees they live hundreds of years longer and grow much larger; they can endanger nearby buildings if they fall in a storm. The University of Vermont study is the sixth Seattle tree canopy study in the last 15 years. Maddeningly, none are comparable. This time, city officials say they are confident the data will finally be comparable to future studies, pointing to advancements in technology and its high degree of accuracy. The report is the city’s most accurate account of its tree canopy to date, and while it provides a detailed view of what green cover looks like in Seattle, it leaves key questions unanswered, as local activists are quick to point out. Chiefly: is the canopy growing or shrinking? And how healthy are the trees that provide it? In 2012, Seattle looked at the health of its trees, participating in a study that used state-of-the-art technology from the U.S. Forest Service to take an on-the-ground look at tree health across the city. But it came with a hefty price tag: $250,000. Funded through a federal grant, the findings helped the city update and expand its urban forestry plan the following year. Five years and a lot of development later, the city has no plans to do a followup study of tree health. “We would love to,” says Pinto de Bader. “If we get another grant to pay for the $250,000 of this effort, I think it would be wonderful.” But grants that size are hard to come by, and under the new administration, federal funding is far from certain. The truly valuable information from the new look at Seattle’s tree canopy, according to the city’s Office of Sustainability and Environment, is its level of precision. Technology has come a long way since the city’s first tree canopy study in 2001, and this new look allows for a detailed breakdown by neighborhood. Efforts to bring more canopy to neighborhoods with less tree cover already are underway, city officials said. The HALA comment period ends this Friday, June 30th. Comments on the plan go to halainfo@seattle.gov or (206) 743-6612. Comments specifically on the environmental impact report can be submitted by online survey through July 24th. Adiel Kaplan is the environmental reporter for the 2017 Statehouse News Project. She has previously covered urban sustainability for InvestigateWest. With tree canopy disappearing in Seattle, the city and others have launched a number of efforts to reverse the trend. CM Clark’s major 2010 MF zoning changes were in no way minor tweaks. Room for trees, existing and new, disappeared with the replacement of traditional front and rear yards with the dimensions mentioned here. In ~1989, neighborhood activists overcame a similar failed experiment, and restored traditional bulk and placement development standards that people rely upon when they purcase property. This held until CM Clark’s 2010 cave to “design freedom” of Floor Area Ratios (FAR) in the name of an “Update.” Clearly, we have another failed experiment as well a much more highly polished, bullet-proofed white-wash: densify, save the planet. Investigate Everything, Everywhere never more important. If fewer buildings go up in central Seattle, how many trees will come down in the metro area’s outskirts instead? If more buildings are built on the outskirts, how will the additional carbon emissions or travel costs affect human lives? The article doesn’t have to be about these issues but it’s disappointing to see an environmental journalism website fail to even gesture briefly at them.